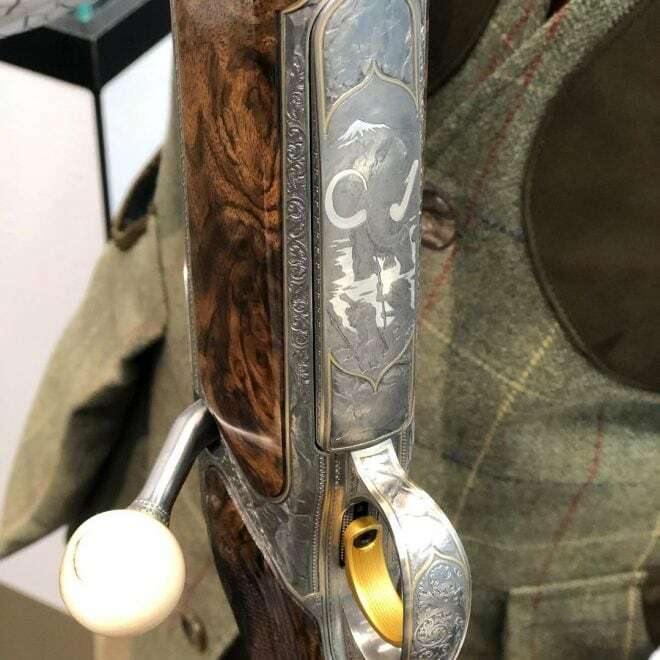 German gun maker J.P. Sauer & Sohn came to the IWA trade show this month with an S 404 custom rifle sporting beautiful engravings and select wood. 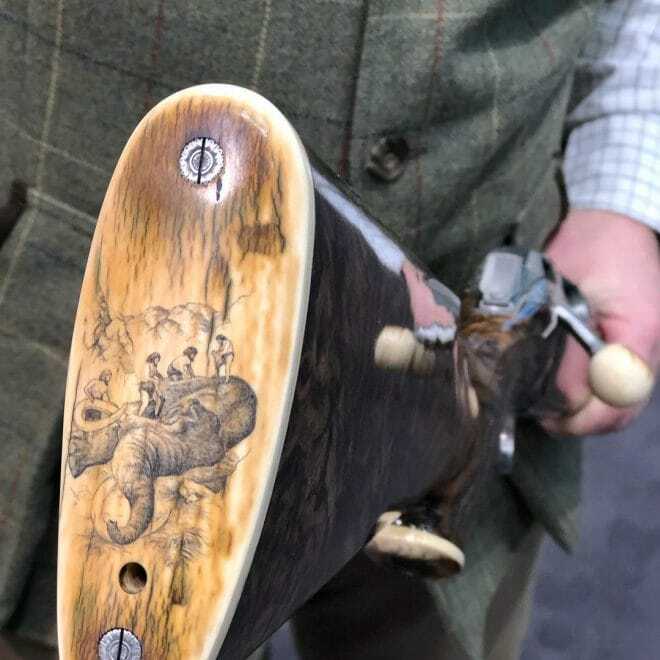 Their S 404 “Stoneage” shown off at the international annual trade fair held in the Nuremberg, features a hunting scene with primitive sportsmen chasing and harvesting a large mastodon or mammoth. 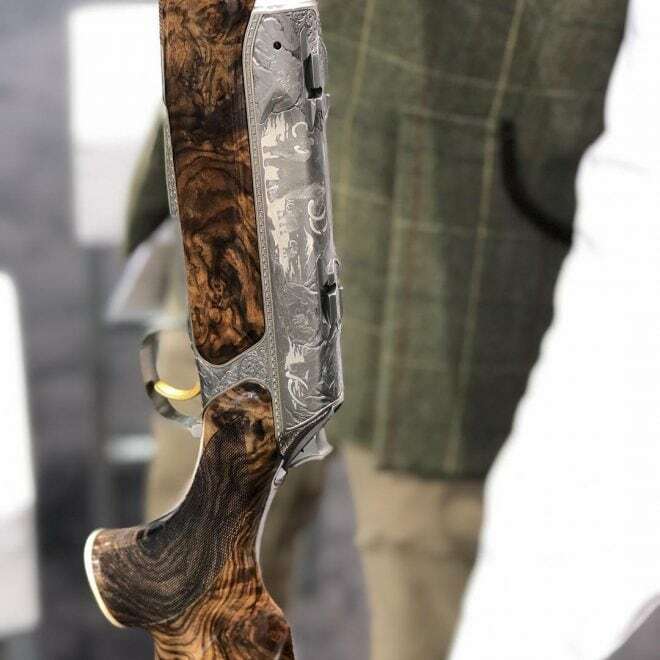 Sauer has long shown off their Atelier 1751 custom shop guns at IWA. With offerings that include 10 different grades of wood furniture and multiple levels of engravings and inlays, these can be truly one-of-a-kind masterpieces. Sauer is a German gun maker, after all. These can run upwards of € 50,000. Of course, there are other, more basic S 404 designs as the modular rifle is sold in over a dozen calibers to include 243 Win., 6.5×55, .270 Win., 7×64, .308 Win., .30-06, 8×57 IS, 9.3×62, 7 mm Rem. Mag., .300 Win. Mag., 8×68 S, .338 Win. Mag. and .375 H&H Mag. There are even polymer models. Check out the video below for more details on the platform itself.